Cyprus is an island known from centuries as the Jewel in the Eastern Mediterranean due to its natural beauty and wealth. The excellent geographical location between: Europe, Asia, and Africa, played a strategic role for the development of the island as a Financial Center. Cyprus beautiful Beaches, all year round sunny Mediterranean climate, many fascinating remains of history from Neolithic settlements through Asian cities and Byzantine Art in combination with the hospitality of the local people, makes Cyprus the European’s most favorite Tourist Destination. In 2016 Cyprus had record-breaking numbers of tourist arrivals. Cyprus is a member of the European Union since 2004. It is the safest European country with the lowest levels of crime, relatively low cost of leaving and doing business and no inheritance tax. It has good policy for social and medical care, wide range of private English schools and Universities. All these in combination with Investors -friendly Tax regime backed up by more than 60 Double Tax Treaties Agreements and highly professional and educated workforce, makes Cyprus preferred Jurisdiction by High Net-worth Individuals for Business relocation and residency. In 2013 the island was ranked as the 5th Best Relocation Destination worldwide by the Knight Frank Global Lifestyle Review. The city of Limassol has been ranked 4th Best Retirement destination globally in 2016. It is considered an ideal destination for Permanent Residence for non-EU nationals. In order to do that, the Cyprus Government decided to simplify the Regulation 6(2) of the Aliens and Immigration Regulations in order to issue more efficiently residence permits to applicants from non-European countries. 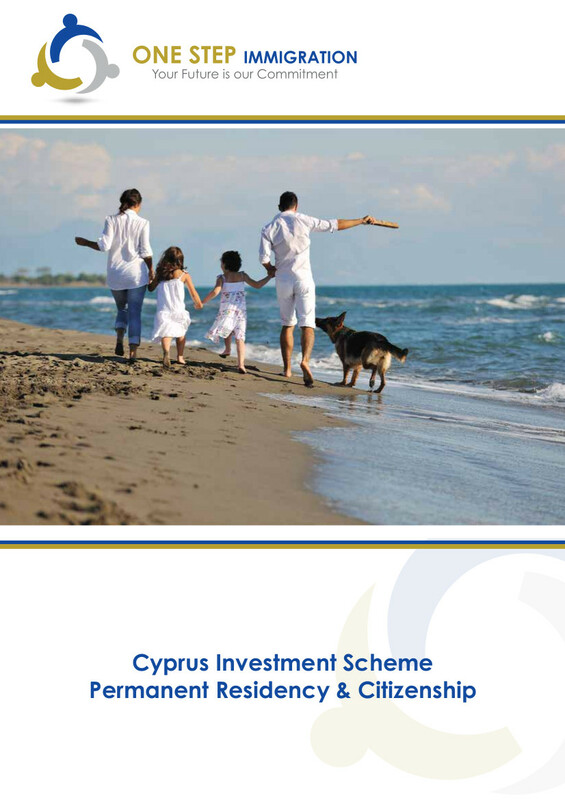 Within this framework and considering the strong investor interest, the Government of Cyprus has established and revised a “Cyprus Investment Programme” on the basis of subsection (2) of section 111A of the Civil Registry Laws of 2002-2017, with specific incentives, terms and conditions and control procedures in order to prevent abuse.